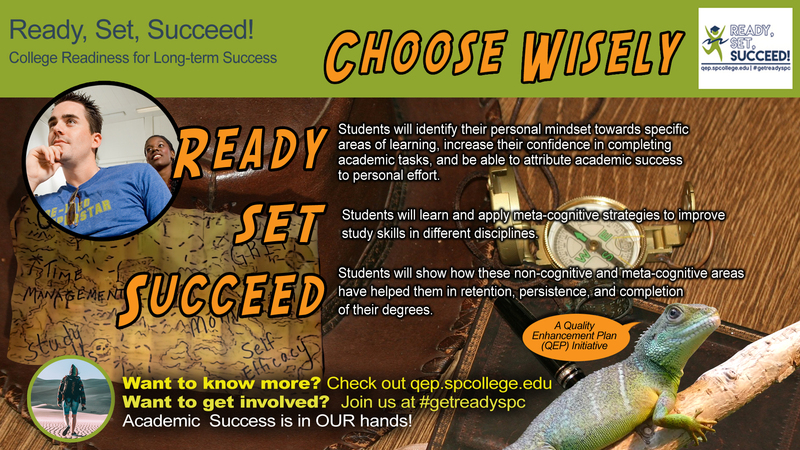 Download the Ready, Set, Succeed! 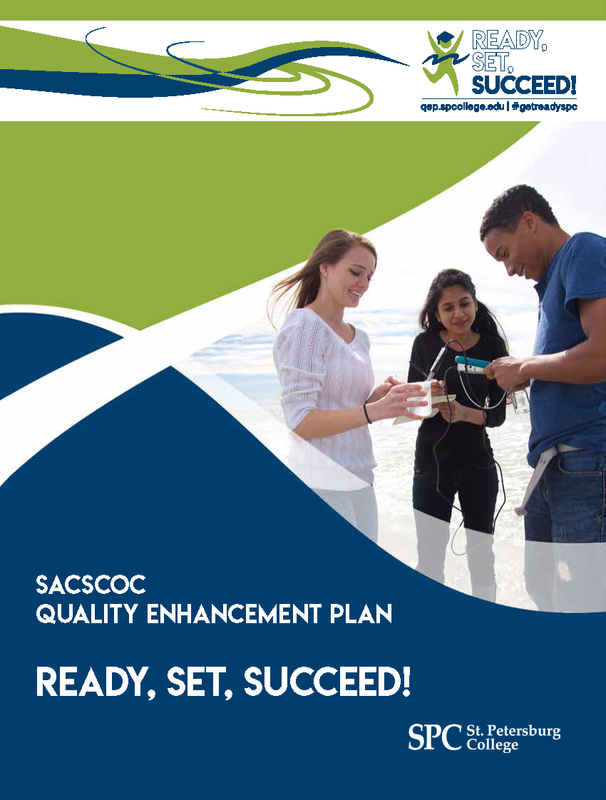 – SPC’s Quality Enhancement Plan. The mission statement at St. Petersburg College is to “promote student success and enrich our communities through education, career development and self-discovery.” The Quality Enhancement Plan (QEP) allows SPC to focus on college readiness for long-term success as an essential element to help students start smart and finish strong. Ready, Set, Succeed! (RSS!) provides a framework and focus for students that are not yet college ready to begin to know themselves by strengthening their self-efficacy, preparing themselves by understanding how they learn best, and using those strategies to persist and complete their academic goals. These areas will be explored as part of small learning communities, or neighborhoods, which will include faculty mentors and learning support specialists, who will be success coaches. Research on best practices and national statistics, as well as college-wide data, has shown that flexible opt-out students (those students who have opted out of at least one recommended developmental class) need the greatest support in college-level classes since they are the most underprepared of SPC’s student population. Ready: Students will identify their learner mindset, including their motivation, and take ownership of their academic goals. Set: Students will learn strategies, such as time management, knowledge monitoring, and comprehension, to help them along their academic path. Succeed: Students will show how the learner mindset and learning strategies have helped them in persistence, retention, and completion of their degree or certificate.. The implementation of the QEP will begin with a pilot in Fall 2017 with a sample of students, representing two campuses, the St. Pete/Gibbs campus (South County) and Clearwater campus (North County). Each year, the program will be expanded to additional campuses. For this program, these students will be placed in learning communities called Neighborhoods for Success (N4S) and will interact with their faculty mentor and success coach. The students will engage with others in their neighborhood through face-to-face meetings and on-campus events, as well as online modules in MyCourses, SPC’s Learning Management System. Within these neighborhoods, students will find membership, belonging, and support; engage in meaningful, interdisciplinary, integrative coursework promoting diverse views; and gain encouragement to persist toward completion of their academic goals. Since the mission of the institution is to promote student success through education, career development, and self-discovery, the QEP will enrich SPC’s focus on the College experience as a way to help students finish what they start. This program will provide an opportunity for all of the student support systems to work collaboratively to provide intensive support for this student population.